For itchy and flaky scalp can a wrong shampoo worsen the situation and often irritate the scalp even more. The Therapeutic Shampoo from D.R. Harris received scalp and hair proper care. An effective treatment for itchy, flaky scalps; a step up from the medicated shampoo. D.R. 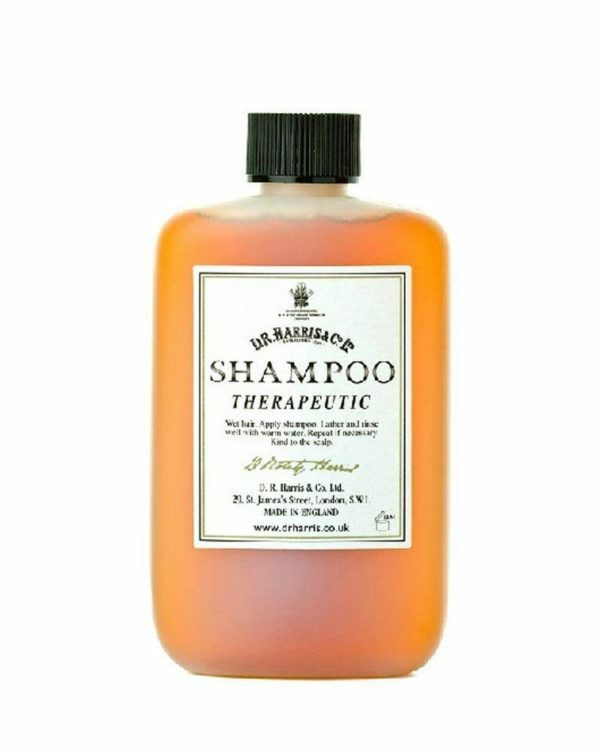 Harris Therapeutic shampoo contains Eucalyptus and Cade oil and is a great addition to the shampoo range. Mild enough for daily use to produce lasting benefits. The shampoo gently massage into wet hair, leave for a short time and then rinse thoroughly with warm water.